N 7° 16' 59" and E 2° 25' 59"
Agombé in Zou Department is a town in Benin about 56 mi (or 89 km) north of Porto-Novo, the country's capital city. Current time in Agombé is now 10:49 PM (Friday). The local timezone is named Africa / Porto-Novo with an UTC offset of one hour. We know of 8 airports near Agombé, of which one is a larger airport. The closest airport in Benin is Savé Airport in a distance of 51 mi (or 82 km), North. Besides the airports, there are other travel options available (check left side). There is one Unesco world heritage site nearby. It's Royal Palaces of Abomey in a distance of 32 mi (or 51 km), West. When in this area, you might want to pay a visit to some of the following locations: Houinvigue, Imeko, Abomey, Sakete and Ayetoro. To further explore this place, just scroll down and browse the available info. Let's start with some photos from the area. Moderate rain, light breeze, overcast clouds. Heavy intensity rain, light breeze, broken clouds. 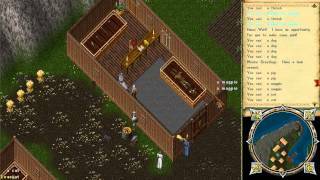 Passeando por Cove OSI LandFix Classic Client Ultima Online UO. A cove is a small type of bay or coastal inlet. Coves usually have narrow, restricted entrances, are often circular or oval, and are often situated within a larger bay. Small, narrow, sheltered bays, inlets, creeks, or recesses in a coast are often considered coves. Colloquially, the term can be used to describe a sheltered bay. Located at 7.23333, 2.3 (Lat. / Lng. ), about 10 miles away. Zagnanado or Zangnanado is a town, arrondissement, and commune in the Zou Department of southern-central Benin. It is located 47 kilometres from Abomey and 165 kilometres north of Cotonou. The commune covers an area of 750 square kilometres and as of 2002 had a population of 36,756 people. Located at 7.26667, 2.35 (Lat. / Lng. ), about 6 miles away. Naogon is an arrondissement in the Zou department of Benin. It is an administrative division under the jurisdiction of the commune of Cové. 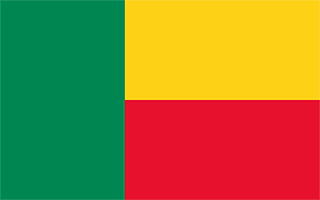 According to the population census conducted by the Institut National de la Statistique Benin on February 15, 2002, the arrondissement had a total population of 6,434. Located at 7.23333, 2.33333 (Lat. / Lng. ), about 8 miles away. Sagon is an arrondissement in the Zou department of Benin. It is an administrative division under the jurisdiction of the commune of Ouinhi. According to the population census conducted by the Institut National de la Statistique Benin on February 15, 2002, the arrondissement had a total population of 12,160. Located at 7.15, 2.41667 (Lat. / Lng. ), about 9 miles away. Allahé is an arrondissement in the Zou department of Benin. It is an administrative division under the jurisdiction of the commune of Za-Kpota. According to the population census conducted by the Institut National de la Statistique Benin on February 15, 2002, the arrondissement had a total population of 6,903. Located at 7.16667, 2.26667 (Lat. / Lng. ), about 14 miles away. Adakplamé is an arrondissement in the Plateau department of Benin. It is an administrative division under the jurisdiction of the commune of Kétou. According to the population census conducted by the Institut National de la Statistique Benin on February 15, 2002, the arrondissement had a total population of 14,089. Located at 7.45, 2.55 (Lat. / Lng. ), about 14 miles away. These are some bigger and more relevant cities in the wider vivinity of Agombé.